Justin M. Harrison is a Member in the Firm’s Labor and Employment Group, advising employers in Manufacturing, Banking, Health Care, and Energy. He practices out of the Firm’s office in Charleston, West Virginia. Justin has years of experience in labor and employment law, focusing on counseling employers and defending them against an array of discrimination and retaliation claims, including federal claims under the Americans with Disabilities Act, the Fair Labor Standards Act, the False Claims Act, and the Family and Medical Leave Act, as well as state claims arising under the West Virginia Wage Payment and Collection Act, West Virginia Human Rights Act and the West Virginia Patient Safety Act. Justin also has defended employers against claims involving workplace safety, breach of contract, restrictive covenants, employee drug testing, and class actions. 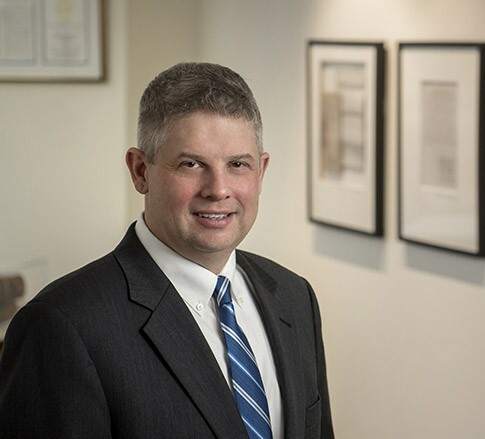 Justin counsels employers on ways to avoid litigation and ensure compliance, but rest assured – when litigation arises, he knows his way around the courtroom. He has taken several cases to verdict. On the labor front, Justin has successfully defeated union organizing campaigns and elections, participated in contract negotiations, grievances and arbitrations, and defended employers against unfair labor practice charges. Justin presents on topics related to investigations, whistle-blowing, workplace violence, sexual harassment, and other issues involving performance management. He has been recognized by Chambers USA for his work as labor and employment lawyer, and as a West Virginia Super Lawyers® Rising Star in Employment Law and Litigation and a West Virginia Super Lawyer® in Employment Litigation. A Mountaineer through and through, Justin received a bachelor’s degree, a master’s degree and a law degree - all from West Virginia University. In fact, he likes people to know that he’s a Virginian by birth, but a West Virginian by choice. In his spare time, you will find Justin outdoors, exploring and enjoying his adopted state. Fitness for Duty Exams Are Ok! A practice pointer for accommodating disabilities: Make sure your decisions are based on supportable facts!